San Francisco is known for its famous neighborhoods and commercial corridors — and the Mission District’s Valencia Street takes it to the next level. For Lyft, Valencia Street is filled with top destinations that our passengers frequent: trendy cafes, hipster clothing stores, bars, and live music. To put it simply, there’s a lot happening along Valencia Street. Besides the foot traffic, many of its restaurants are popular choices on the city’s growing network of courier services, providing on-demand food delivery via cars and bicycles. Residents of the Mission are increasingly relying on FedEx, Amazon, and UPS for stuff. Merchants welcome commercial trucks to deliver their goods. In light of a recent road diet on Mission Street to create much needed dedicated lanes to improve MUNI bus service, many vehicles have been re-routed to parallel streets like Valencia. And of course, Valencia Street is also one of the most heavily trafficked bicycling corridors in the City, with 2,100 cyclists commuting along Valencia Street each day. With so many different users of the street and a street design that has largely remained unchanged, it’s no surprise that the corridor has experienced growing safety concerns — particularly around increased traffic, double parking, and bicycle dooring. Valencia Street is part of the City’s Vision Zero High-Injury Network, the 13% of city streets that account for 75% of severe and fatal collisions. From January 2012 to December 2016, there were 204 people injured and 268 reported collisions along the corridor, of which one was fatal. As the street has become more popular and the need to act has become more apparent, community organizers have played an important role in rallying City forces to commit to a redesign. The San Francisco Bicycle Coalition has been a steadfast advocate for the cycling community’s needs: going back to the 1990s when they helped bring painted bike lanes to the corridor, to today’s efforts to upgrade to a protected bike lane. The People Protected Bike Lane Protests have helped catalyze the urgency of finding a solution. And elected officials, including Supervisor Ronen and former Supervisor Sheehyhave been vocal about the need for change. Earlier this spring, encouraged by the SFMTA’s first steps in bringing new, much-needed infrastructure to the corridor, we began conducting an experiment to leverage our technology as part of the solution. As we continue to partner closely with the SFMTA as they work on a new design for the street, we want to report back what we’ve learned. Promote safety on the busiest parts of Valencia Street for the most vulnerable users by helping minimize conflict for bicyclists, pedestrians, and transit riders. Continue to provide a good experience for drivers and passengers to help ensure overall compliance with the pilot. Understand the effectiveness of geofencing as a tool to manage pickup activity. Work collaboratively with city officials and the community to improve Valencia Street. To meet these goals, we first examined Lyft ride activity in the 30-block project area: Valencia Street between Market Street and Cesar Chavez. Within this project area, we found that the most heavily traveled corridors were Valencia between 16th and 17th Street, 17th and 18th Street, and 18th and 19th Street. We found that these three blocks make up 27% of total Lyft rides along the Valencia corridor. We also wanted to understand the top destinations along the corridor. To do this, we looked at ride history where passengers typed in the location they wanted to get picked up from. 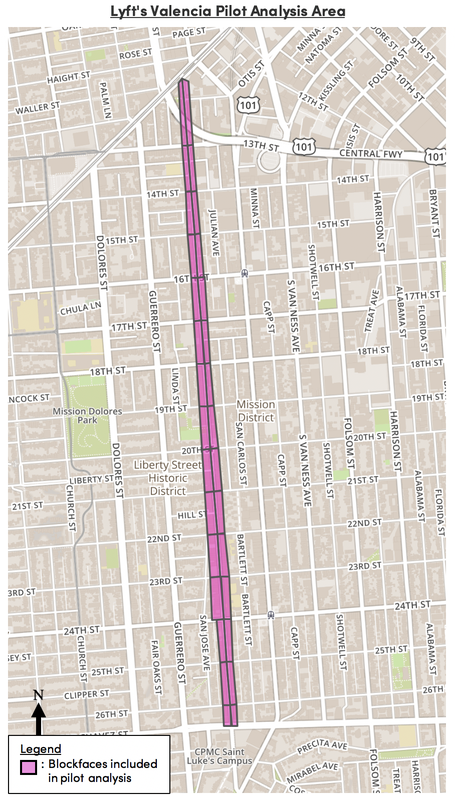 We found that Lyft activity on Valencia Street was highest on weekends and in the evenings. Demand is fairly consistent on weekdays, with major spikes of activity on Fridays, Saturdays, and Sundays. The nighttime hours of 8 PM to 2 AM are also the busiest time for trips, making up 44% of all rides. These findings suggest the important role Lyft plays as a reliable option when transit service doesn’t run as frequently, or as a safe alternative to driving under the influence (a phenomenon we are observing around the country). Our hypothesis was that because of the increased need for curb space between multiple on-demand services, as well as the the unsafe experience of double parking or crossing over the bike lane to reach passengers, improvements in the Lyft app could help create a better experience for everyone. To test this, our curb access pilot program was conducted as an “A/B experiment”, where subjects were randomly assigned to a control or treatment group, and statistical analysis is used to determine which variation performs better. 50% of riders continued to have the same experience requesting rides within the pilot area: able to get picked up wherever they wanted. The other 50% of Lyft passengers requesting rides within the pilot zone were shown the experiment scenario, which asked them to walk to a dedicated pickup spot. Screenshot from the Lyft app showing our Valencia “Venue” between 17th and 18th Street. Passengers requesting a ride are re-directed to a dedicated pickup spot on a side street (depicted as a purple dot). During the pilot, we created these hot spots on Valencia Street between 16th St and 19th St.
Our pilot was built using a Lyft feature called “Venues”, a geospatial tool designed to recommend pre-set pickup locations to passengers. When a user tries to request a ride from an area that has been mapped with a Venue, they are unable to manually control the area in which they’d like to be picked up. Rather, the Venue feature automatically redirects them to a pre-established location. This forced geofencing feature helps ensure that passengers are requesting rides from safe locations and build reliability and predictability for both passengers and drivers as they find each other. Given our understanding of ride activity and demand, we decided to create Venues on Valencia Street between 16th Street and 19th Street. We prioritized creating pickup zones along side streets in areas of lower traffic. Where possible, we tried to route pickups to existing loading zones: however, a major finding of the pilot was that existing curb space is insufficient and that the city needs more loading zones. To support better routing and reduce midblock u-turns or other unsafe driving behavior, we tried to put pickup spots on side streets that allowed for both westbound and eastbound directionality. Our pilot ran for three months, from March 2018 to June 2018. 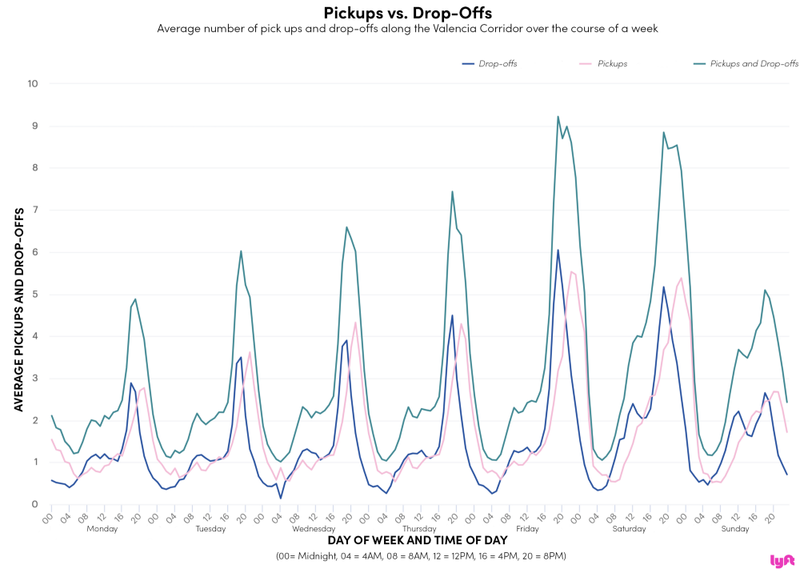 Although our initial research focused on rideshare activity during hours of peak demand (i.e. nights and weekends), to support our project goals of increasing overall safety along the corridor and to create an easy and intuitive experience for passengers, we ultimately decided to run the experiments 24/7. The graphic below illustrates where passengers were standing when they requested a ride, and which hotspot they were redirected to. We found that the top hot spots were on 16th Street. This finding suggests the need for continued coordination with the City to make sure that the dedicated pickup spots to protect cyclists on Valencia Street don’t interrupt on-time performance for the 55–16th Street or 22–Fillmore Muni bus routes. Loading time, when a driver has pulled over to wait for a passenger to arrive or exit their car, was important for us to look at in terms of traffic flow. This is a similar metric to the transportation planning metric, dwell time. Currently, our metric for loading time looks at the time between when a driver arrives at the pickup location and when they press the “I have picked up my passenger” button. However, this is an imperfect measurement for dwell time, as drivers may press the button before the passenger gets in the vehicle. Based on our pilot, we have identified this as an area for further research. Going into our experiment, we expected to see a slight increase in loading time, as passengers would need to get used to walking to the pickup spot. This hypothesis was correct: during the pilot, we saw loading time increased from an average of 25 seconds per ride to 28 seconds. To help speed up the process of drivers and passengers finding each other, we recommend the addition of wayfinding and signage in popular loading areas. We also wanted to understand the difference between pickups and drop-offs. 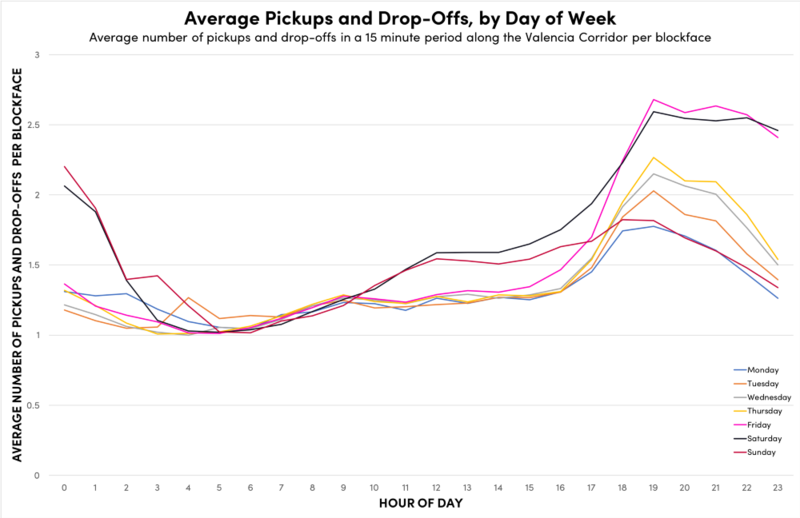 Generally, we found that pickups have a longer loading time than a drop-off. Ridesharing is one part of the puzzle to creating a more organized streetscape along the Valencia corridor, so sharing information and coordinating with city stakeholders was critical. After our experiment, we sat down with elected officials, project staff from the SFMTA, WalkSF, and the San Francisco Bicycle Coalition to discuss the pilot findings and collaborate on how our work could support other initiatives underway across the city. We are now formally engaged with the SFMTA’s Valencia Bikeway Improvement Project and look forward to continuing to support this initiative. Given the findings of this pilot program and our commitment to creating sustainable streets (including our acquisition of the leading bikeshare company Motivate and introduction of bike and scooter sharing to the Lyft platform), we decided to move our project from a pilot to a permanent featurewithin the Lyft app. This means that currently, anyone requesting a ride on Valencia Street between 16th Street and 19th Street will be redirected to a pickup spot on a side street. The city needs more loading zones to support increased demand for curbside loading. Valencia Street can best support all users of the road by building infrastructure like protected bike lanes that offer physical separation from motor vehicle traffic. Ridesharing is one of many competing uses for curb space. The City needs to take a comprehensive approach to curb space management. Geofencing alone does not solve a space allocation problem. Lyft’s digital solutions are best leveraged when the necessary infrastructure (i.e. loading zones) are in place. The digital and physical environments should reinforce each other. Wayfinding and signage can inform a user’s trip-making process before someone opens their app. Having clear and concise information that directs both passengers and riders can help ensure greater compliance. Collaboration is key. Keeping various stakeholders (public agencies, the private sector, community and advocacy groups, merchants associations, etc.) aware and engaged in ongoing initiatives can help create better outcomes. We know that ridesharing is just one of the many competing uses of Valencia Street and technology alone will not solve the challenges of pickups and drop-offs: adequate infrastructure like protected bike lanes and loading zones will be necessary to achieving Vision Zero. Looking ahead, we know there’s much to be done on this front. To start with, we are are excited to partner with civic engagement leaders like Streetmixwhose participatory tools ensure that public spaces and urban design support safe streets. By bringing infrastructure designs like parking protected bike lanes or ridesharing loading zones into Streetmix, planners can begin to have the tools to engage community groups on what they’d like to see their streets look like. We’ve also begun partnering with Together for Safer Roads to support local bike and pedestrian advocacy groups and share Lyft performance data to help improve safety on some of the nation’s most dangerous street corridors. And finally, through our application to the SFMTA to become a permitted scooter operator in the City, we are committing $1 per day per scooter to support expansion of the City’s protected bike lane network. We know that this kind of infrastructure is critical to making safer streets for everyone. Our work on Valencia Street is a continuation of our commitment to rebuild our transportation network and place people not cars at the center of our communities. Today, we launched Building an Impact Investing Team, a guide for families who are beginning to tackle the many strategic questions involved in assembling the right staff and structure to achieve their impact investing goals. In this guide, we’ve distilled lessons from our work advising more than 150 families, our commitment to supporting peer learning networks for high net worth (HNW) individuals, and our own impact investing journey into a four-step process brought to life by several case studies. Our hope is that, by sharing our experience and that of other families, we can make it easier for those new to impact investing to enter the market with confidence. Our founders, Pam and Pierre Omidyar, know just how many questions there are to answer after making the initial decision to build an impact investment team. They initially created the Omidyar Family Foundation but quickly realized that structure and team weren’t well-suited to their goal of leveraging the power of markets to create change at scale. So in 2004, they established Omidyar Network as a hybrid structure – we are both a limited liability corporation (LLC) and a 501(c)3 – and have built a team of nearly 150 people across eight offices, globally. Through our hybrid structure, we’ve committed more than $1.3B to impact, split roughly evenly between for-profit and nonprofit organizations. Needless to say, the past 14 years have been a journey, with many turns along the way, but our experience has highlighted the unique role that HNW families can play as catalytic adopters of impact investing—with tremendous resources, flexibility, and appetite for risk, HNW families are uniquely positioned to deploy capital against the most pressing issues of our time. Yet we hear time and again that many seeking to enter impact investing for the first time are overwhelmed by the diversity of the market and simply don’t know where to start. In particular, many families struggle with the numerous strategic choices involved in building an impact investing team: whether to create a new entity or house their impact investing team within an existing structure like a foundation or family office; whether it’s better to experiment on a small scale or to make a larger commitment; or whether it’s possible to get started using their existing advisors. Perhaps the most important thing we’ve learned is that there are as many ways to build a team as there are reasons to pursue impact investing—which is why the first, and most important, step in the guide is to get clear on your shared goals and motivations. With this as a guiding star, you can begin to explore operational needs and constraints to realizing those goals. In step two of the guide, we’ve suggested four frequent guiding inputs that influence families’ talent decisions. Together, these factors will help determine the team structure that will best achieve families’ goals (step three), whether in-house, outsourced, or a mix of the two, and give them the tools, resources, and confidence to get started (step four). To help bring these steps to life, the guide includes case studies from seven families, three of which also share their experiences in this recorded webinar. Each has a team structure unique to its specific goals and motivations, yet despite the diversity of each family’s paths, three common themes emerge from their stories. As they think about where and in what entity to build their teams, many families find that they already have relevant resources and capacity within existing infrastructure (e.g., talent and teams within current family offices, foundations, or even their current wealth advisors). For those with an existing business or family office, building an impact investing team within that structure can allow them to start with a lean team, while benefitting from existing talent and back-office support of the broader organization. For example, the Salesforce Impact Fund was able to recruit just a single person to do everything from sourcing to portfolio management because they were able to take advantage of the existing infrastructure and processes of Salesforce’s robust corporate venture arm. Without the ability to leverage these resources, this team structure wouldn’t have been possible. For Bill and Melinda Gates, impact investing was first and foremost a means to speed progress toward their ambitious philanthropic goals. As a result, it became clear that their impact investing team would need to reside within the existing Bill & Melinda Gates Foundation to facilitate coordination with grantmaking teams. The more that families prioritized flexibility in investment structure, control over investment decisions, and a desire to execute bespoke, direct deals as part of their impact investing goals, the more likely they were to build in-house teams. In Ceniarth’s early days, Diane Isenbergleveraged external talent to manage investments focused on market-rate returns, public markets, and private equity funds pursuing a broad definition of impact. However, recently, her impact strategy has evolved to focus increasingly on direct investments in underserved communities. As a result, she is increasingly leveraging in-house talent to execute these transactions, which external advisors don’t currently offer. Charly and Lisa Kleissner took a different approach and rather than hire an in-house team, they’ve chosen to be very hands-on in their own direct investments, while leaning on external talent for other parts of their portfolio. Finally, Jesse and Betsy Fink saw that building individual in-house teams wouldn’t be possible for all families with ambitious impact goals like theirs. To address this challenge, the Finks created MissionPoint Partners, a Registered Investment Advisor that serves multiple families as separate accounts, in 2015. This approach allows families the flexibility of a more customized impact investing strategy by achieving economies of scale through a shared staffing solution, while also driving greater collective impact. As the market has matured, so too has the supply of strategic consultants, advisors, and other service providers, and it’s now easier than ever for families to get started and build their teams via external talent. For some families, such as Ruth Shaber of the Tara Health Foundation, starting the conversation with current advisors may be a logical first step. For others, it may make sense to hire a new investment advisor, and there is an ever-wider range of candidates from which to choose. When they issued an open call for letters of interest, the Jesse Smith Noyes Foundation received 34 responses, ranging from mainstream investment firms like UBS’s private wealth management team to highly focused impact investing specialists like Flat World Partners. Additionally, peer-to-peer networks such as Toniic, The ImPact, and PYMWYMIC can also be an invaluable resource to families as they build their first impact investing teams. Networks offer a chance to deepen your impact investing knowledge, learn from the hands-on experience of others, and inform your talent search with the reviews and experiences of others. Finally, if we heard one piece of advice consistently across all of the families featured in the guide, it’s to just get started however works for you today. With time, your strategy will evolve, and so will your team! Society has become somewhat accustomed to disposable goods, be it cheap garments, budget phones, or plastic packaging. But with Earth facing untold apocalyptic catastrophes in the decades to come, there has been a growing push to do something — anything — to counter the predicted cataclysmic events that await us. A few months back, Seattle became the first major U.S. city to ban single-use disposable straws, while England could become the first country to ban them next year. Starbucks, meanwhile, will usher out plastic straws across all its stores globally by 2020. These are small measures by anyone’s standard, but they feed into a broader trend that’s striving to cut waste and reduce our dependency on disposable goods. Food, in particular, is one area where we’re seeing this trend amplified, with big-name investors lining up for their piece of the waste-cutting pie. Earlier this month, Santa Barbara-based Apeel Sciences raised a whopping $70 million from U.S. hedge fund Viking Global Investors, Andreessen Horowitz, Upfront Ventures, and others. This took the company’s total funding to $110 million. So what is Apeel doing to reduce food waste, exactly? Well, it essentially applies a second layer of skin to fruit and vegetables to reinforce protection and prolong their shelf life by reducing water loss and oxidation. The company said that produce that has been given the Apeel treatment typically stays fresher for up to three times longer. Above: Apeel Sciences applies a second layer of skin to fruit and vegetables to prolong their shelf life. The funding came just a few months after Apeel Sciences commercialized its product via avocados at Costco and Harps Food Stores in the U.S., which it said led to a 65 percentage-point margin increase and a 10 percent sales increase in Hass avocados. “As Apeel products continue to hit the shelves, the retail world is now beginning to experience what was clear from day one, which is that Apeel is a product with the potential to change the world,” said Yves Sisteron, founder and managing partner at Upfront Ventures, which first invested in Apeel Sciences as part of its $5.8 million series A round back in 2014. Earlier this week Swedish startup Karma raised $12 million for a marketplace that helps restaurants and supermarkets cut food waste by selling their surplus goods at a discount. Investors included Swedish investment firm Kinnevik, with participation from Bessemer Venture Partners (one of the oldest venture capital firms in the U.S.), Electrolux, and E.ventures. The premise behind Karma is simple. The consumer creates an account and can see what’s available in their area — the offerings are whatever food outlets have an excess of, so there won’t necessarily be a consistent choice of goods each day. But if you’re not fussy and all you’re looking for is a good discount, then you may find cakes, bread, sandwiches, freshly squeezed lemonade, and pretty much anything else. Above: Karma lunch offerings in London. The problem that Karma is looking to fix is this: Roughly one third of food produced globally each year never reaches a human mouth, according to the United Nations’ Food and Agriculture Organization. That’s $1 trillion worth of edible food ending up in a landfill. Karma is available across Sweden, while it also recently launched in London, its first international market. But with a fresh $12 million in the coffers, it’s planning to launch into more international markets across Europe and the U.S. Both these startups show that while ethical concepts are attractive to investors, you’re not going to get anywhere on altruism alone: Your idea and execution needs to be underpinned by a solid business. “While the Karma team is really going after a good cause, we share a very fundamental belief with the founders: to have a lasting and meaningful impact, companies around sustainability need to be for-profit and have an attractive business model,” said E.ventures partner Jonathan Becker. Elsewhere in the culinary realm, Full Harvest this week raised $8.5 million in a series A round of funding led by Spark Capital. The San Francisco-based startup offers a B2B marketplace that helps farmers sell surplus and imperfect goods to food and beverage companies. Up to 40 percent of food in the U.S. goes uneaten each year, according to the Natural Resources Defense Council, and a big part of this problem is that grocery stores and supermarkets don’t want to buy ugly fruit and vegetables because, well, consumers don’t want to buy them either. But a wonky apple is every bit as nutritious as an aesthetically pleasing apple, which is how Full Harvest manages to find a market that connects farms with food buyers. The company already works with a number of U.S. food and drink companies, and it has claimed that it helped one U.S. farm grow its profits by 12 percent per acre. But it’s not just the food industry that’s seeking traction in the waste-cutting world. Last week, London-based Unmade raised a modest $4 million in a round of funding led by Felix Capital. The Techstars London alumnus develops a software platform for fashion brands to offer customizable clothes directly to consumers. Above: Unmade: Customizing a sweater on Farfetch’s website. The on-demand model not only allows fashionistas to fine-tune patterns or mix colors around, but it also promises a more sustainable business. Clothes are not created in bulk before demand is established — each item is effectively made-to-order, thus cutting down on waste. The company said that it now works with three of the top fashion brands in the U.S. This kind of manufacturing potentially has a big future — last year Amazon was awarded a patent for a similar system that’s capable of producing products, including garments, after an order is placed. On-demand product manufacturing means that supply meets demand rather than surpasses it, and ensures a bunch of perfectly wearable goods do not end up in the trash. The made-to-order model could also have an impact on return rates, thus reducing waste even further — if a customer has played an active role in designing their garment, they may feel more attached to it when it arrives. “With our current customers, we have also seen a big reduction in return rates once they start using our platform,” Alun-Jones continued. Last month, Atomico — the VC firm founded by Skype co-creator Niklas Zennström — led a $10 million investment in Oden Technologies. The London-based company serves up the hardware and software for manufacturers to track faults and establish patterns that may affect their factory equipment performance. It’s all about analytics and big data. While the chief driving force behind Oden Technologies centers on improving efficiency and cutting costs, firmly embedded in this business model is the need to reduce waste. Manufacturing facilities can waste millions of dollars worth of materials each year due to factors such as “variation and imprecise specifications,” something that Oden says it solves. By improving operational processes on the factory floor, Oden claims it can detect inefficiencies and issues “up to 95 percent faster” and cut waste by “hundreds of thousands of dollars” each year. And this is what major VC firms like Atomico are investing in: “Industry 4.0,” which includes big data, artificial intelligence, and robotics. It’s about digitizing the $12 trillion manufacturing industry to make it more efficient — which means less waste. “We believe that the global manufacturing industry is on the brink of a new machine age; one in which the industrial Internet of Things and cloud analytics, coupled with machine learning and artificial intelligence, are set to transform existing production processes, slash waste, drive incredible efficiencies and increase output,” Atomico said at the time of its investment. We’re seeing shifts in this direction across the industrial spectrum. While the world prepares for self-driving cars to infiltrate its highways, some industries are already embracing autonomous driving technology. Sugarcane is among the largest crop globally in terms of quantity produced. During collection, large trucks normally drive beside the harvester at low speed to take the sugarcane off-site. However, up to four percent can be lost as the truck tramples fledgling crops, which is due to driver error. As such, Volvo revealed last year that it was trialing self-steering trucks to help sugarcane farmers improve crop yield — drivers don’t have to worry about keeping the truck in a straight line as the steering is all automated. Whether it’s moving away from disposable straws, ensuring food doesn’t end up in a landfill, confirming every piece of clothing has a buyer before it’s made, or minimizing factories’ excess material burn rate, the goal is the same: Cutting waste will play a major part in the future of our planet. Crucially, this also means improving a company’s bottom line, which will be pivotal in garnering buy-in from more companies. Artificial intelligence (AI) has fuelled science fiction for decades. Yet now, with technology having caught up with and overtaken human imagination, its capabilities are becoming science fact and too powerful for business leaders to ignore. AI, even in its relative infancy, is enabling C-suiters to redraw all aspects of their organisations. Those who embrace AI and related nascent digital technologies – automation, robotics, machine-learning, big data – are already gaining a significant advantage over laggards. The potential corporate market for AI services, software and hardware is colossal. International Data Corporation research forecasts it will reach $57.6 billion in 2021, significantly more than the $12 billion spent last year. Further, PwC estimates AI could contribute up to $15.7 trillion to the global economy in 2030, a higher figure than the current output of China and India combined. 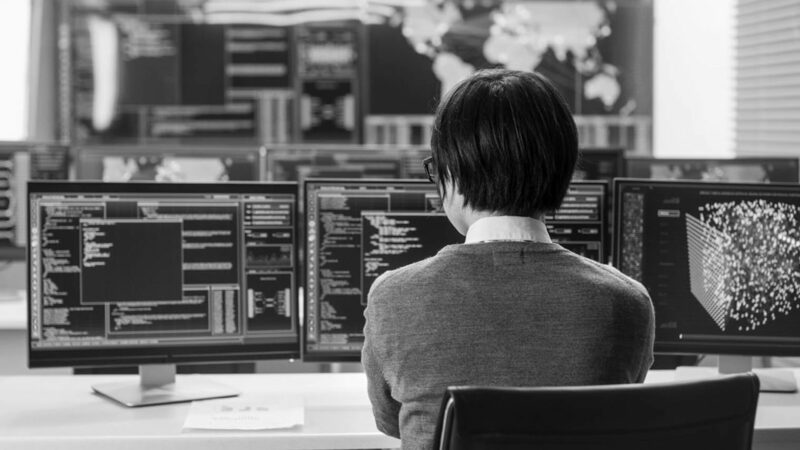 However, incorporating AI into an organisation can be extremely challenging and risky, especially for large enterprises lumbered with legacy systems. While cutting-edge AI applications are increasingly common place, with a mushrooming number of organisations, from tech giants to startups, developing working solutions, the financial and time capital involved can be overwhelmingly extensive. These are costs that have to be taken on, though, if an organisation, regardless of size, wants to thrive in the future. Outsourcing AI is one option many are seriously considering. The benefits of using third-party service providers for AI solutions are manifold. They include greater access to global talent pools – a key point when you consider that leading AI data scientists, because of their scarcity, can command seven-figure salaries – and the ability to tap into specialist skillsets and experts who will be able to solve company-specific problems with greater efficiency, thus helping business leaders choose the appropriate technology for their organisation. Further, thanks to that level of expertise, tried-and-tested models are quicker to implement compared with crafting them internally. And if an outsourced AI solution does not quite work and needs to be switched, the cost and risk burden is markedly less than the in-house alternative. And, at this stage of AI’s maturity, experimentation is advised. Advising caution, Mr Dean says: “It’s important to note that AI is not magic and it is not always successful in finding improvements. But outsourcing provides ready access to the required talent today versus waiting to recruit and hire people, which will be very hard, time consuming and expensive. Marco Rimini, chief development officer of Mindshare Worldwide, agrees that AI “if applied correctly, will empower an organisation to operate at levels previously out of reach of manual capability and ability, which in turn will lead to significant opportunities, irrespective of industry”. He echoes Cathy O’Neil’s observation, in Weapons of Math Destruction, that poorly thought-through AI applications can be highly damaging; another reason to engage experienced third parties in the AI space. “If a business incorrectly applies AI, or ignores it, it will enforce negative change and that could be fatally damaging,” says Mr Rimini. He warns that it is critical for business leaders who chose to outsource AI that they guard the most important digital assets and data from the third parties, and deliberate over their business strategy, which could be altered unrecognisably by potent new technology. 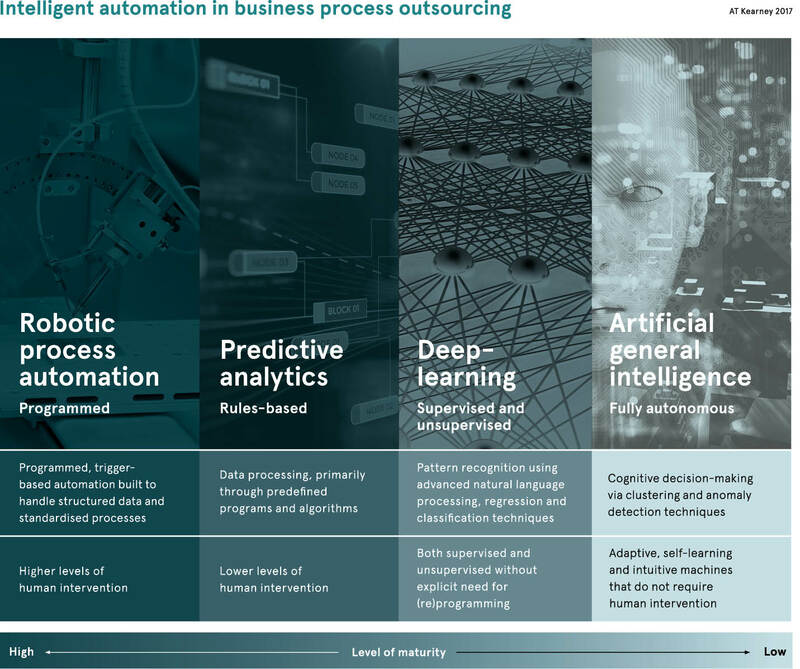 Mr Rimini cautions: “Whatever size, you need to invest in-house to determine the role of AI, or risk outsourcing the core of your organisation and also becoming overdependent on the outsourcing company, which in a worst-case scenario could become a direct competitor. It’s your first day at a new job, and you’re stuck going to corporate training. But instead of going to a training room and listening to the HR director drone on about the vacation policy, you’re directed to the IT desk. Gut check: How do you feel about this scenario? A recent survey found that approximately half of professionals would be interested in learning something new in a virtual reality environment. So regardless of whether the idea of virtual training makes your heart skip a beat or stop altogether, you’re in pretty good company. The question is — is this the right direction? It might be. 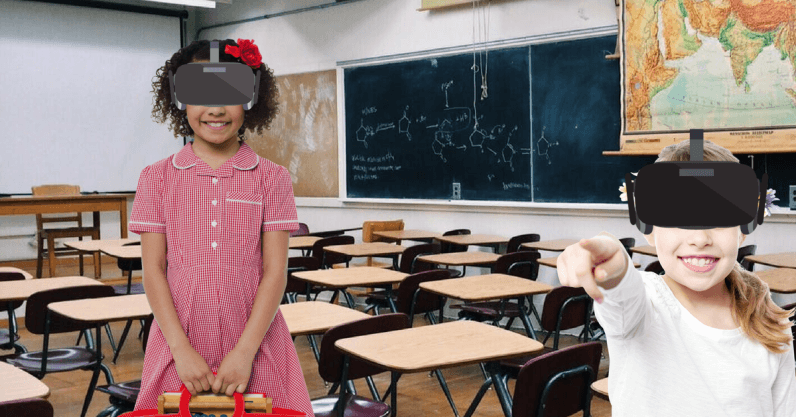 There hasn’t been a ton of research done on the educational uses of VR, but the one in-depth study that has been done was optimistic. Researchers created a virtual castle (“the memory palace,” named for an old mnemonic device of the same name) and placed pictures of various celebrities throughout it. One group of research subjects got to explore the castle using a VR headset while another group explored it using a computer and mouse. After exploring for a while, each group took a break for two minutes and then went back to the castle. This time, all of the pictures were replaced with question marks, and the subjects had to remember which picture went where. And—shocker—the VR users did better than the computer users. Therefore, obviously, VR is a more effective teaching tool than a computer—right? Not so fast. Even though VR beat out desktop computers in the memory palace, there are other factors to consider when it comes to education. One possible explanation for VR’s success in this study is the novelty effect, which basically means that newer technology will always give an initial bump in learning outcomes just because it’s new. Chances are, at least some of the subjects who got to use VR to explore the memory palace were having their very first VR experience. Their minds were blown. Their interest in the new technology probably drove them to explore every nook and cranny of their virtual environment and memorize as many details as possible. Meanwhile, their counterparts on the desktop computers sat there, completely jaded to the mystical connection of mouse and screen. But the novelty effect alone shouldn’t make us completely discount these findings. A couple decades ago, researchers were doing similar tests comparing computers to TVs and frankly being a little overly pessimistic that computers would be the wave of the future. Now that we live in a world where TVs and computers are equally un-novel, I don’t think you’ll find anyone who would argue that Schoolhouse Rock is a more effective teaching tool than Khan Academy, even if the songs are better. Let’s imagine a slight variation of the memory palace experiment. Test subjects still explore a castle, and they still find portraits of celebrities, but this time the portraits include some biographical information about the celebrity. Then, after they’ve explored the castle and taken a two minute break, the subjects have to recall as much biographical information about as many celebrities as possible. My hypothesis for this experiment would be that the computer users would actually perform better. Reading information off of a computer screen and recalling it later is old hat. The test subjects in the VR environment would be so excited about exploring their surroundings that they wouldn’t want to take the time to read and retain information. But in the actual experiment, where the subjects needed to remember the location of pictures instead of biographic data, the propensity to run around and explore was beneficial in completing the task at hand. The more enjoyment you get out of exploring your surroundings, the more likely you are to remember details about what you see. In that situation, it should come as no surprise that VR brought better results than a desktop computer. Another possible follow-up study would involve physically constructing the memory palace and seeing how well people recall memories of a real castle compared to a VR one. My money would be on VR as long as the technology retains its novelty, but if it ever becomes as mundane as a desktop computer, I bet the real castle would produce better results. Why? Because the actual task is to recall something’s position. Where in the castle did you see the picture of Marilyn Monroe? Where did you see the picture of Mickey Mouse? The more directly you can interact with the space you’re trying to locate an object in, the better your recall is bound to be. What training contexts are best suited for VR? The real challenge in applying VR to education is figuring out which topics VR would be the best teaching platform for. This is not a new concept. There’s been an ongoing debate about online vs. in-person training for as long as online training has been an option. And there’s really only one answer that’s always right: It depends on what you’re teaching. So VR won’t ever be the best tool for every single learning situation because no educational tool can ever claim that honor. But VR education will be very well suited to situations where physical location matters—but only when a non-virtual version of that location is unavailable. For example, if you really are welcoming employees to their first day of work, it would probably be more effective to give them a real tour of the actual building instead of having them wander through a virtual reproduction. But if you’re teaching interior design or training a batch of private investigators, VR might be the best possible educational tool. And let’s not forget about AR (augmented reality). Instead of providing a fully immersive experience like VR does, AR inserts virtual elements into your view of your real surroundings. AR is currently being explored as a platform for training firefighters. This is a perfect match. You can have your firefighters or other rescue workers running around in a real building while dealing with virtual hazards. This might be the best possible way to teach a dangerous job in a safe environment. But not all of us need to take (or deliver) that kind of training. If you’re an HR director tasked with explaining medical benefits to a batch of new hires, maybe it’s best to stick with powerpoint for now. @lilmiquela has 1.3 million followers on Instagram. Her bio reads that she’s 19 years old, lives in Los Angeles, and supports causes including Black Lives Matter and the Innocence Project. Oh, and she’s a robot. Her Instagram feed, which at the time of writing has 245 posts, is her entire existence. She likes memes and posting selfies. One photo in particular shows her relaxing on a lawn chair, while another has her posing on a washer/dryer set. There’s even a snap of her being tattooed by similarly Insta-famous tattoo artist Dr. Woo. In April, @lilmiquela and Brud brought in approximately $6 million in VC funding from Sequoia, BoxGroup, SV Angel and Ludlow Ventures. It’s unclear how that money will be spent; perhaps it will go toward building out more virtual influencer accounts, some “friends” for @lilmiquela. But the real question is why is a surreal—literally—freckly teenage girl worth millions to Silicon Valley? After all, Brud isn’t the first company to capitalize off the platform Instagram provides, nor is it the first to illustrate how much money one can make as an “influencer.” Former “Bachelor” and “Bachelorette” contestants, each member of the Kardashian family and pretty much every C-list actor has proven that. Brud, rather, has shown that you can manufacture that influence using technology. You don’t have to pay an actual person to post an Instagram story about how he or she just “looooooves” your products. The team at Brud decides what @lilmiquela “likes,” what she will promote on her Instagram and how she will behave online. Earlier this year, @lilmiquela posted an Instagram story advertising her partnership with Prada, undoubtedly a lucrative deal that had her advertising for the brand just in time for fashion week in February. It appeared to be one of the first official brand partnerships advertised on her feed. Brud is hacking influencer marketing, which has already disrupted traditional advertising streams in recent years. Influencer marketing is a new opportunity stemming from that Instagram usage; it has allowed skillful bloggers, who have themselves become valuable media properties and brand assets, to make a living off social media posts. 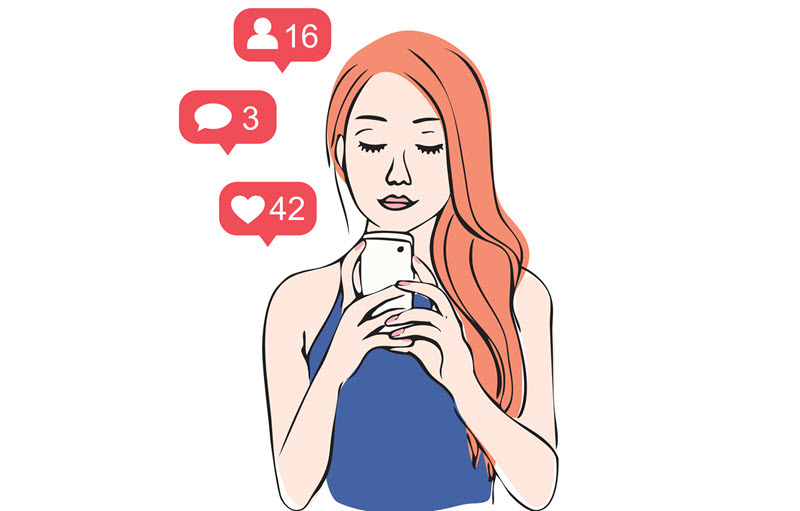 This is mostly a result of the successes of social media platforms like Twitter and Facebook, though Instagram is at the center of the influencer movement specifically. Venture capital investors, of course, were backers of all three of those platforms in their nascent days. Now, VCs are investing in a new generation of startups vying to capitalize on the innovative form of narrative advertising that is influencer marketing. Let’s go over the basics. What’s an influencer? It’s basically the 2018 version of that really cool person in your class at school. Typically, it’s someone who posts frequently online, has a large following and likely also has strong engagement rates, meaning people tend to “like” and comment on their content frequently. Most importantly, influencers can have an impact on their followers’ purchasing decisions, whether that be because of their fame, knowledge of a specific industry or product, job title or follower count. The influencer economy truly began with the birth of the blogosphere during the dot-com boom, but the invention of sharing apps like Instagram created the phenomenon as we know it today. The app officially launched in the fall of 2010; less than two years later, Facebook, which was about eight years old at the time, spent $1 billion to acquire it. What may have seemed like a ludicrous deal in 2012—Instagram only had 13 employees at the time and had raised about $57 million in VC funding—has proven to be Facebook’s most crucial and lucrative acquisition ever. Not to mention it was a goddamned steal. Last month, Facebook reported its most disappointing earnings to date, an announcement that resulted in a major stock plunge. Instagram, on the other hand, continues to boom, with more than 1 billion users on its platform. It’s driving a large part of Facebook’s advertising profits. Wells Fargo analyst Ken Sena reportedly said the photo-sharing app could contribute $20 billion to Facebook’s revenue by 2020, or roughly a quarter of the social media giant’s total revenue. Why? Because advertisers love Instagram. They are expected to spend $1.6 billion on Instagram advertising in 2018, a number that could grow to as much as $5 billion over the next few years, per MediaKix. If you’re not an avid Instagram user and you’ve found yourself wondering, “How could a photo-sharing app bring in that kind of money?,” let me throw some mind-boggling stats your way. She’s not the only one raking in Instagram cash. There are a lot of users leveraging the influencer economy to supplement their income. Vine star Cameron Dallas, who also has his own Netflix show for some reason, reportedly earns some $25,000 per post. Indian cricket team captain Virat Kohli makes some $120,000. Celebrity chef Gordon Ramsey can earn roughly $5,500 for a post. And Logan Paul, the controversial YouTube star, can bring in $17,000 each time he grams. This is all according to social media tool provider Hopper’s Instagram Rich List, which ranks Insta users by how much they can purportedly bring in. Every person on the list is considered an influencer. The first VC to leap entirely into the influencer economy was Benjamin Grubbs, the former global director of top creator partnerships at YouTube—a mouthful of a title that basically means Grubbs was in charge of the team that oversaw the growth of the most popular YouTubers. After six years at YouTube, including a stint at its parent company Google, Grubbs stepped down to launch a venture capital fund called Next 10 Ventures. Next 10 Ventures closed its debut vehicle in May, a $50 million fund intended to back businesses in the creator economy. While other venture capitalists have closed select deals for startups in the influencer space, Next 10 raised a sizable amount of cash to bet solely on people whose living relies on platforms like YouTube and Instagram. It’s unclear which, if any, startups Next 10 has backed since it wrapped its initial fund. A handful of startups in the space, however, have raised funding in the last year. Brud, the developers of @lilmiquela, brought in their reported $6 million financing in April, of course. That round was followed by 21 Buttons‘ $17 million round led by Idinvest Partners. The following month, Octoly brought in a $10 million Series A for its platform, which helps influencers receive free products in exchange for reviews. Havas, Otium and Twin Partners participated in that round. Several other startups, including Lumanu, which has created software that helps influencers reach larger audiences, and Victorious, a developer of apps that target specific fandoms, have also raised VC recently. Meanwhile, two companies focused on influencer marketing have exited. Viacom picked up WHOSAY, which works with brands to craft campaign strategies and produce content; IZEA, the provider of a digital marketplace that connects brands with influencers, agreed to acquire TapInfluence, which plans and executes influencer marketing campaigns. And these are just the early adopters. Given the stats shared above, I’d expect a whole lot more entrepreneurs to enter the space in years to come. The bottom line is that influencers and influencer marketing have created an incredibly powerful tool that’s poised to disrupt the marketing and advertising industries, much like Craigslist disrupted the classified ad business and Airbnb changed the way we think about hotels. VCs, of course, will follow the money. And as we’ve learned from Kylie Jenner, social media influence can be quite profitable. Perhaps the real question is this: Will @lilmiquela make 2019’s Instagram Rich List? Time will tell. For decades, snack and candy makers have filled checkout lanes with shelves of eye-catching treats to encourage last-minute purchases. But as online shopping gains mainstream acceptance, Big Food can no longer rely on a captive in-store audience — and brands are racing to find ways to capture these spontaneous buys in the digital space. This is no small feat, as the values that drive in-store shopping behaviors can be dramatically different from online motivators. Those triggers also vary across the growing array of e-commerce shopping paths consumers can take, ranging from supermarket websites and mobile apps to pure-play e-grocery sites and direct-to-consumer platforms. For legacy food manufacturers, this evolution is a double-edged sword. On one hand, these digital touch points give brands new opportunities to gain consumer mindshare — Nielsen and the Food Marketing Institute predict that grocery e-commerce will be a $100 billion industry by 2025, and more than 40% of coveted millennial shoppers bought groceries online last year. On the other hand, the internet’s infinite array of trendy new food products can entice consumers away from established brands that are normally go-to’s in-store. In fact, Nielsen data shows that shoppers are 5% more likely to make an impulse grocery buy online than in-store. For example, snacks in categories like crackers and popcorn and chips and pretzels enjoy 14.4% and 13.7% more buys online than in brick-and-mortar formats, respectively. This more level playing field adds another complex layer to the million-dollar question of a perfect online impulse strategy, Jared Koerten, head of packaged food research at Euromonitor International, told Food Dive. “There is no perfect strategy at this moment. It’s a huge challenge and there are a lot of [tactics] that companies are throwing at the wall to see if they stick,” he said. Personalization is a play manufacturers can make across digital shopping platforms and social media channels to solve perhaps the biggest deterrent to online impulse purchases: the lack of instant gratification. But the speed and ubiquity of the internet has also led to new kinds of consumer cravings, which manufacturers can satisfy to make the consumer’s wait between purchase and delivery or pickup of their treat more enjoyable. “A lot of people have hypothesized that people are chewing gum less and eating candy less because they’re on their phones all the time. They don’t have the need for distraction because it’s right in their hands, and it’s incumbent upon brands to… take advantage of the fact that consumers are really connected and they can be a part of that conversation,” Rost said. Though this consumer behavior is bad news for manufacturers across the indulgent snack space, the chewing gum category is particularly vulnerable. According to data from Euromonitor, global gum sales have fallen 15% since 2007, the year the iPhone debuted. The key is finding a compelling digital substitute that delivers a sense of immediacy and excitement, Koerten said. This could be providing an engaging video, a recipe, or even a related meme at checkout that consumers can share with their social media circles. Delivering substitutes like these, however, requires collaboration with retailers. They retain a great deal of control of the checkout experience in online shopping environments — and can better position their private label offerings for impulse purchases in this space. General Mills promotes cooking videos that teach consumers how to incorporate its products into related at-home recipes on grocery sites with which it partners. This strategy could be a savvy way for manufacturers big and small to deliver the virtual food experiences consumers demand. For example, if a shopper were to add buttermilk biscuits to his cart, a manufacturer could promote a biscuits and gravy recipe that features its branded sausage links — keeping its name top of mind and also bringing potential impulse purchases to a category that doesn’t typically benefit from them. In this way, online offers a flexibility that in-store environments can’t easily match. It’s also important for manufacturers to promote creative content beyond the online checkout process in order to capture impulse spend and build brand loyalty with consumers, priming them for future digital shopping trips. Eliminating obstacles for online shoppers can also create opportunities that lead to spontaneous food purchases. Koerten said shipping fees are perhaps the biggest barrier to completing the online checkout process — a consumer behavior that many big food brands have leveraged to promote their products. In response to this phenomenon, major food and beverage companies have promoted offers on sites like Instacart and Shipt. The brand will cover the site’s shipping fee if the consumer meets a minimum order size of its products, Korten said. Mars has also tested a similar model with Alibaba in China, where the candy giant promotes a selection of its impulse-type products at checkout when the shopper is near the site’s minimum purchase requirement for free delivery. Beyond making the individual sale, it’s crucial for candy and snack brands to ensure their products make it through checkout. Unlike brick-and-mortar shopping, online food purchases are heavily list-driven — a phenomenon shaped by both consumers themselves and the platforms they use to shop. Besides providing perks like waived shipping fees, manufacturers also need to ensure that they are one of the first brands to appear when consumers search for a related product, whether it be on social media, Google or a grocery platform. As convenience-focused services like Instacart and supermarket click-and-collect programs blur the line between brick-and-mortar and digital commerce, food companies have had to find new ways to intercept the consumer before they reach checkout. These models include grocery delivery, direct-to-consumer platforms and grocery pick-up, which Koerten said is a particularly tough cycle to break into because the consumer often never has to leave their car to collect their purchases. But if shoppers are placing their click-and-collect orders through a grocery app, location-based technology could help manufacturers create a controlled environment similar to in-store checkout lanes within the consumer’s vehicle. As grocers and e-tailers have introduced product collection lockers to the click-and-collect purchase path, manufacturers have worked to transform these into a physical touch point for their impulse-category products. Last year, Hershey partnered with Peapod to develop a click-and-collect locker that also served as a vending machine for branded candy and snacks. The strategy ensures that even if a consumer passes up a potential impulse buy when he checks out online, he can be tempted once more when he collects his groceries in person. These kinds of partnerships also give Big Food a chance to emulate the monopoly they have on checkout-lane shelves. In purely digital contexts, trendy upstarts stand a better chance of capturing last-minute consumer spend, so long as they can invest in marketing and a value proposition that rivals mainstream players. But when it comes to store fulfillment models like click-and-collect, legacy brands have the upper hand.